For many car enthusiasts in the United States and other countries, the Toyota Camry might be public enemy number one, or at least a car they’d prefer not to be seen in. It’s not that the Camry’s a bad car. In fact, it’s been one of Toyota’s best-selling and most important vehicles for decades now. 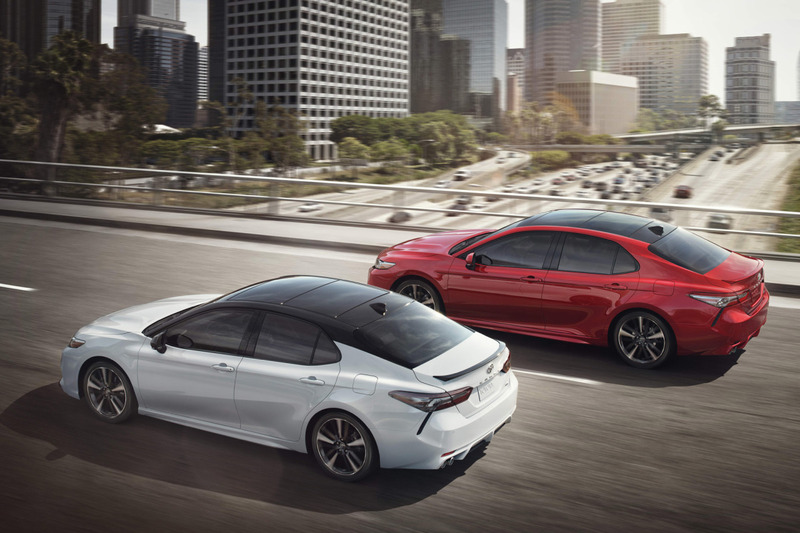 But the Camry has never been an enthusiast’s car, and many gear-heads consider the vanilla-flavored family sedan to be the antithesis of cars that are fun and exciting to drive. 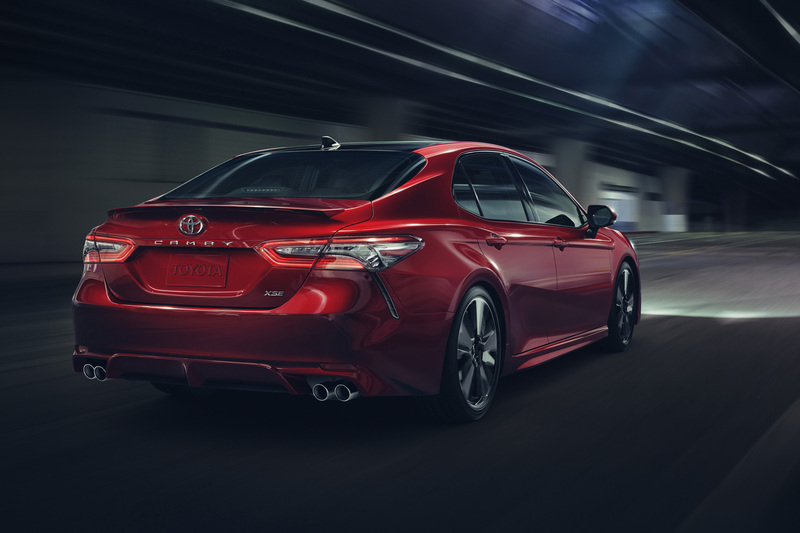 This week at the Detroit Auto Show Toyota debuted its ‘all new’ 2018 Camry, and for the first time in a while they actually mean it. The new Camry rides on the TNGA (Toyota New Global Architecture) platform and shares nothing with the car it’s replacing. 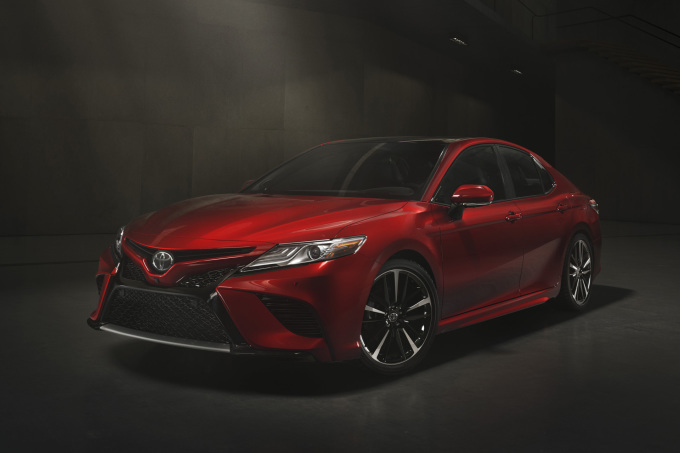 In the past, the styling of the Camry has been quite conservative, but the new car has a much more adventurous look, particularly in the sport-oriented XSE trim with its 19-inch wheels and quad-tip exhaust. And according to Toyota the “sporting part” of the 2018 Camry will be more than just skin deep. 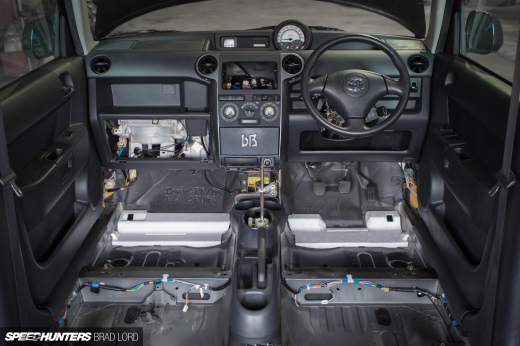 Toyota claims the new chassis has been tuned to be much more composed and deliver better handling and response than the previous models. To what degree remains to be seen, but for a model that’s never been considered a driver’s car, that could be good news. As for powertrains, Toyota is not going the downsizing turbo route that most automakers are going these days. Engine choices will be an all new 2.5-liter four-cylinder or a direct injected 3.5-liter V6, both mated to a new 8-speed automatic transmission. 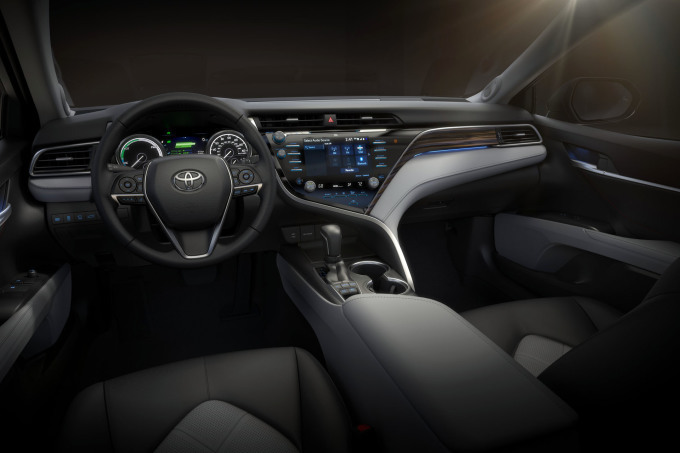 With either choice, Toyota promises more power and better fuel economy than the current engines, and that could be impressive given the current Camry V6 is already quite quick for a family sedan. There will also be a Camry hybrid that Toyota says will deliver near-Prius levels of fuel economy. 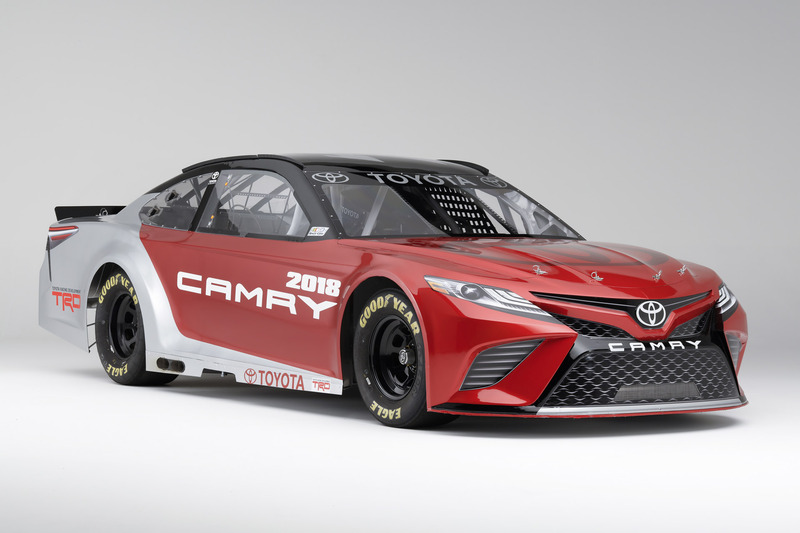 One option that 2018 Camry will not get is the screaming V8 and rear-wheel drive configuration of the NASCAR Camry that will make its debut next month at Daytona. 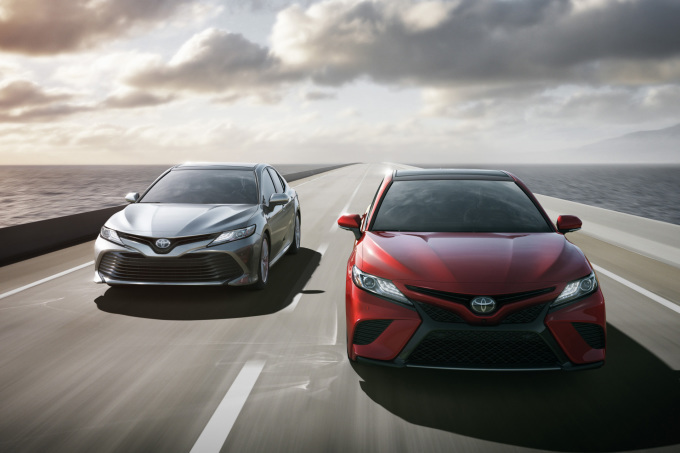 It’s unlikely that the Camry will ever be a car that truly sets enthusiast hearts racing, but the fact that Toyota is making the new car more powerful, better to drive and more exciting to look at is a positive development for all of us. Is the car now considered ‘cool’? A Camry finally worthy of enthusiast-approval? It certainly feels like a step in the right direction. While not badged as a Camry, I've always thought the TRD Aurion was a cool car. "One option that 2018 Camry will not get is the screaming V8 and rear-wheel drive configuration of the NASCAR Camry that will make its debut next month at Daytona." This car still says to me "rental car". its bland and a car you drive from A to B. Dont get me wrong, Camrys have never been head turning cars but if they are trying to impress another demographic of auto owners then they need to do a little better than this. "But the Camry has never been an enthusiast’s car, and many gear-heads consider the vanilla-flavored family sedan to be the antithesis of cars that are fun and exciting to drive." I believe the true antithesis of cars is either the Prius or the Google self-driving car. Or both. Still pretty Vanilla, just because it has a lot of power, aggressive styling, and a "tuned" chassis, does not mean it has soul and it certainly does not make it an enthusiast car. Give it a 6spd manual, good set of MANUAL bucket seats, a set of sensibly sized wheels with good rubber and remove some of the disconnect between the motor and the driver, and that is how you make an "enthusiast" car. That 3.5 with a manual and a good exhaust setup would be fantastic! Real car enthusiasts aren't swayed by aggressive bumpers, 19's and quad exhaust. Betteridge's law of headlines: Any headline that ends in a question mark can be answered by the word no. man, the only thing i want to happen to the camry is that they offered it with a manual again, since it's gone like 2 generations without offering a manual. like cmon, it's toyota, basically every entry model car they sell offers a manual, except for their heavier duty stuff, but seeing no manual in the camry is a sore disappointment. the camry can actually be fun. so stop trying to develop more speed autotragic transmissions and just give us a snappy 6 or even 7 speed manual. until you resell the camry with a manual again, a lot of us enthusiasts will refuse to buy it again. and the camry seriously needs a much sportier rwd variant for the american market, one that is more sporty than even the xse version. a fwd camry is a boring camry. I thought the Toyota Aurion was supposed to do this? I think the Camry has a pretty solid slot in the market. It's an A to B car. For people who want something very tame. This new direction might get some new buyers but lose some of it's current audience I think. Make it FR layout like those Mark and Chaser now we are talking. Matt Kay i don't even think the camry and the is are in the same market, at all. 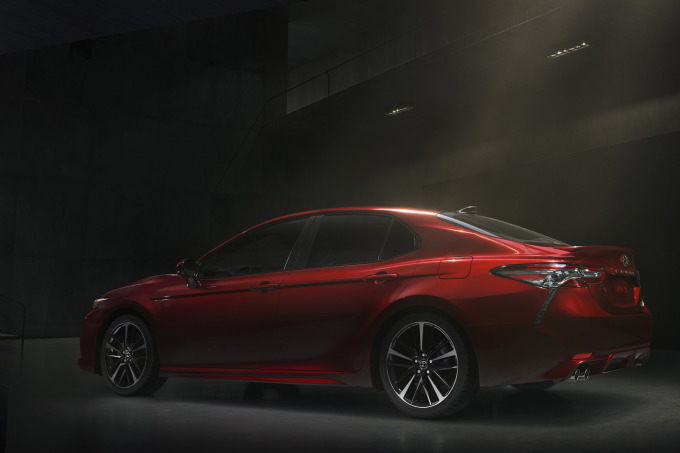 the lexus IS is more of a compact car, while the camry is more of a midsize sedan. and besides, i don't think lexus makes any cars in manuals anymore. saddening as hell, but that's what it looks like. FF booo.. Fullsize fwd are weak af. Matt Kay awesomefearwave Yea I wish Toyota would make a new Altezza and sell it stateside. Cloth interior, 4 cyclinder, rwd just a simple midsize 4 door. corbintjansen Matt Kay awesomefearwave i think it should still offer leather. i like leather over cloth, plus i haven't seen a lexus with cloth seats, don't think it's gonna happen ever. but maybe a rwd 4 door sports premium car would be nice. including a manual would be even better. awesomefearwave corbintjansen Matt Kay I more or less was getting at a Toyota spec Lexus IS. Not so luxurious and a little more basic to keep cost down. I'd love a mid size rwd 4 door. Is it just me or is this just a Toyota MarkX that is not a cool? Why not continue the MarkX as the "drivers car" platform and leave the Camry as the A to B car for the masses? 77GalantV6 Mark X's are sweet!!!! I wish we had them in the states. well... it looks cool indeed, but meh at the enthusiast side..
Actually looks pretty good in that red, and I like the way the body-color grille bar stands proud of the mesh. If I want a Camry for a car just to go from A to B, why would I want it to look something that people would challenge me to a race on a traffic light. It looks good, but it seems pointless for a Camry to look like that. nightrift97 Well, or the bus. I like Toyota's new direction under Akio Toyoda, but I have to say, the Camry really isn't where I think they should be putting their performance effort. It will never be a car looked upon kindly by an automotive enthusiast. And what's the point of making it "sporty" and giving it power and claiming to make it fun to drive if you're going to release it minus a manual transmission option? toyota's designs as of late have been good. The 2015 Camry looked aggressive and nice. this one just continues it which is good. Really nice interior too. It is a really nice car this 2018 model. A station wagon will follow? If so, I'll bet will be a huge success in Europe. Looks nice. It still needs to be RWD tho. I like the style and this new mentality from Toyota. About the power plants.. a TRD version with a V6 twin turbo (like an Aristo with a supra heart) would be nice... might even happen in a unofficial way with some tuners in the future. This just might be too grounded to the ground. I have to admit it looks really good and quite sporty. Toyota is certainly aiming towards a younger generation with some of their new cars. But honestly 90% of their effort seems to be spend on looks and marketing and 10% on actually making a more interesting car. Toyota's racing department also confuses me. The Nascar "Camry" is a great example, they compete in a RWD Pushrod V8 Musclecar class and their car represents a FWD family sedan. But in reality the only sporty car that Toyota has one sale in the EU/USA is the GT86. Sell me the RWD V8 and I'd consider being caught dead in it. MTDatsun I don't think there is any room left for a Corolla/Celica type sports car with the 86. I suppose they could do something fun with the next gen, but I highly doubt they will. Toyota doesn't seem to want to do anything too extreme. They've become too spoiled with the popularity of their trucks and suv's and said to hell with actual performance and driving dynamics. I would assume they will not go past edgy bumpers and quad exhaust when it comes to "performance" driving. awesomefearwave I agree and disagree. I think there is plenty of fun to be had with a FWD Camry. FWD cars can be fantastic to drive on track. Honda has been doing it for some time now. I also think that a manual transmission would transform the car far more than adding sporty bumpers and quad exhaust and calling it an "XSE". what Grace replied I'm startled that any body can make $6284 in 1 month on the computer . az_caveman That car exists. It's called the Charger. Can the Camry be cool? No. It's a basic people hauler, more aggressive styling isn't going to change this fact that it's designed to be the most vanilla car ever. 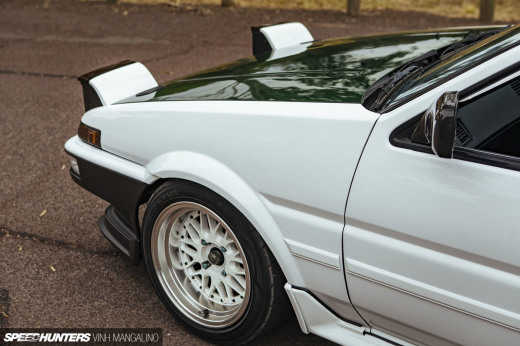 This article man.... why is it even on Speedhunters? Yeah, I definitely question how far they're willing to take the performance aspects. I don't see a 4 door sedan/hatchback interfering with the 86 though. Unless they're planning a shooting brake version in their next iteration, the 86 is still a wildly impractical car. A 4 door sedan or (heaven please) a wagon with some performance minded tuning, would fit nicely in their lineup. e36techniks I'll hold judgement until it actually comes out I guess. Afonsoae82gt Bolt on supercharger would be quite fun! JeremieSunico That would be cool, but also extremely unlikely. corbintjansen 77GalantV6 Agreed. Sadly I don't know if we'll ever see another Toyota-badged RWD sedan in the US. Matt Kay Yes please! TRD small block. Can it be cool? Well, can I get a manual? mastermatty awesomefearwave "FWD cars can be fantastic to drive on track." Yeah, FF cars with the right suspension design, like Hondas of yesteryear with double-wishbones at all four corners (probably the one and only excuse for FF cars). "Honda has been doing it for some time now." How's 30-plus years considered "some time"? Ice Age nightrift97 Hey, leave the buses alone.